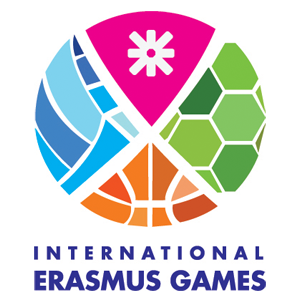 International Erasmus Games or shortly IEG are sports competition in a couple of sports. Those sports are futsal, volleyball, basketball and tennis. IEG are like a European championship in those sports. But to get on this championship in some of those sports you first have to win a National round of IEG in the country where u are on your exchange mobility to get to the international round of IEG. And this is where the fun begins. We in the Czech Republic compete on the national level in futsal, basketball and volleyball. Each university builds their teams from people who want to compete. If your team is really good and wins the national round then you get the chance to travel to the International round of IEG. Of course, some nice prices are prepared for both national and international winners and also those who got the 2nd and 3rd place.